Imagine shopping in a grocery store and learning about the country of origin of your fruit and vegetables by just scanning a code with your iPhone; or scanning a For Sale sign with your phone and getting the floor plan and sales price of a house. QR codes are a new and powerful technology that is being used by small and large businesses from trucking companies to magazine publishers, to expand their businesses and gain new clients. The QR (Quick Response) Code is a square bar-code originally developed by the Denso Corp. to help Toyota track parts quickly and efficiently. The software to scan these codes is now adapted so it could be read by any camera phone with the proper app. Since the technology has its own ISO standard, and because the Denso Corp decided not to charge for it, anyone can use this technology. What the QR Code can do for you? Use of the QR Codes has spread rapidly. The main and most powerful use of the QR Code is the ability to encode information on a small square. The data scanned enables the viewer to immediately jump to a website embedded in the code saving them from having to laboriously type out a long address code. Send people to pages that have more information about the product or ask the to participate in a sweepstakes. You can do it in a showroom or on the product. Put the QR code on the billboard or print ad and drive people to your site for more information. You can do it even in the TV ad. QR codes make it painless to the user to get to the next step. 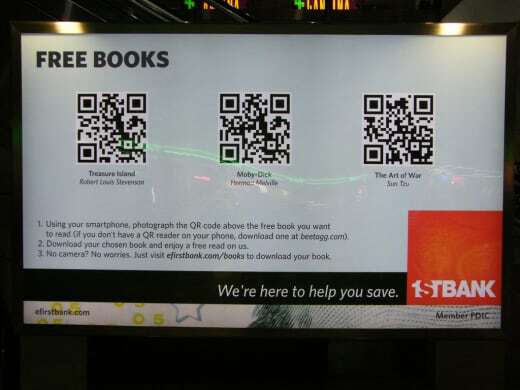 QR Codes are used at subway and train stations for real-time updates or on magazine labels and in newspapers. Calvin Klein recently embedded a QR code in an ad campaign which gave people the ability to download a special video. The flexibility of using QR Codes lets the user go to a website from the banner on the side of a building with just one click. These codes can be used to provide more in-depth information such as reviews or technical specs of your product. They can even be used to replace the 1-800 numbers for the ‘How am I doing’ on the back of delivery vehicles. This technology helps you target people by the QR codes they use. You can put different codes to products in different sales locations. You can display different content and promotions to website visitors based on the codes they use. You can use QR codes on your website to help people get to that content on their phones without having to type in long web addresses. QR Codes not only allows you to provide extra and exclusive content to your clients, it also helps you track potential clients. Instead of trading business cards at an expo or trade show, a quick scan of the QR code on a card collects all the needed information. The possibilities for using QR codes are endless, as more and more uses are being developed each day. These are just a few of the ways this technology gives businesses the power of becoming more efficient and connecting with clients in creative and exciting ways. You can find more information about QR codes in Wikipedia. 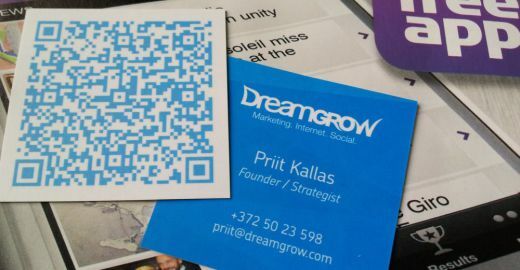 Please comment, what experience have you had with QR codes as a user or marketer.